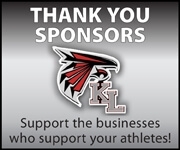 Parking for games on the Kentlake FB/Soccer field is in the school's main parking lot. Gate to the field which is located in the back of the campus remains locked at all times for safety reasons so access to the field by vehicle is prohibited. Continue past the main parking lot entrance up the hill and follow the road until it ends. Go left down the hill toward the field to the roped off, "Do Not Enter" area. Spectator drop-off is at this point. Friday February 1st- FamilyID open for registration. Monday February 25th-The first day of tryouts. Meet in Mr. Wall's Room at 2:45 ready to go. Saturday March 2nd- Yearly Mt. Peak Hike, we will leave from the KL parking lot at 9am and return at about noon. I ask that as many parents as possible please drive. Parents are welcome to climb with us. Saturday March 9th- First Match vs Roosevelt HS. 10 practices required, 11 scheduled. Current Physical (Incoming Freshmen must have a physical dated AFTER JUNE 1st of the 8th grade year) on file at Kentlake or uploaded to the FamilyID registration. 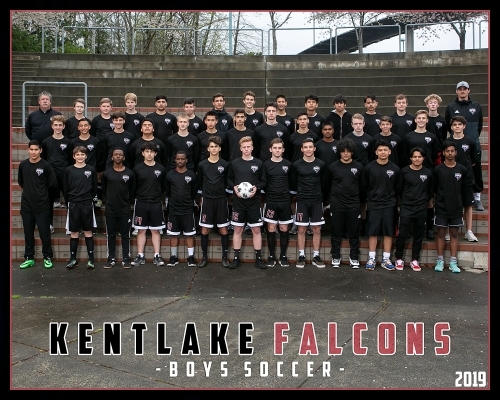 Team Selection: The members of the 2019 Kentlake Boys Soccer Team will be made known after the 3rd day of try-outs on Wednesday February 27th. This will be done by private conference between the coaches and each individual player. Upon Being Selected to the Team: Each player will be required to purchase from the ASB Cashier a practice jersey and two pair of match socks. The socks and jersey change each year. The cost of these items are appoximately $50. 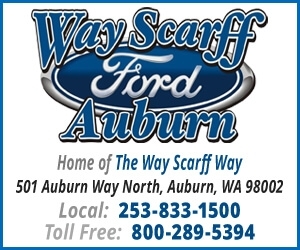 If this is a hardship, please contact the cashier at 253 373 4925 so arrangements can be made. An ASB card ($35) is also required.